Millions of people in the U.S. struggle with the symptoms of clinical depression. As one of the leading causes of disability in the world, depression is a severe mental health condition that can cause significant impairment in a person’s day-to-day functioning. In addition, untreated depression can also increase the risk of a person developing an addiction to drugs or alcohol. Excessive alcohol use is also implicated in up to a quarter of all suicides. People who are dealing with the painful symptoms of depression can turn to alcohol for relief from these symptoms. But while alcohol may seem like a temporary solution, longterm, problem drinking can lead to a host of other problems and health complications. The following article will explore the link between alcohol and depression, and what someone can do to help a loved one struggling with these issues. Why do people drink alcohol when they are depressed? Alcohol, however, can alleviate the symptoms, although it can only give people a temporary reduction in symptoms. Drinking can elevate a person’s mood, help them to relax, and decrease their feelings and actions of social withdrawal. Excessive drinking over a long period of time, however, can lead to alcohol dependence. When a person becomes dependent on alcohol, they will experience the physical and emotional symptoms of withdrawal if they are unable to drink. Alcohol dependence and excessive drinking can worsen depression symptoms. It’s crucial that people who enter rehab for alcohol abuse stemming from depression are treated for both disorders. Not addressing and treating depression will increase the chances of a relapse and also of suicide attempts in depressed individuals who struggle with alcoholism. Does alcohol abuse cause depression, or are depressed people more likely to abuse alcohol? Both scenarios are common, and it can be difficult for patients, loved ones, and clinicians to determine how these two conditions overlap. Alcohol is a depressant, and it can worsen existing depression symptoms. Estimates show that between 30% and 50% of people who drink to excess are also depressed. In addition, drinking alcohol will make the antidepressant medication less effective. Drinking alcohol while taking an antidepressant can not only render the medication ineffective, it can also produce dangerous side effects. MAOI antidepressants and alcohol will increase blood pressure and can potentially cause a fatal stroke. People with depression who drink are at high risk of suicide. Depression, alcohol, and drug abuse are the top three major risk factors for suicide attempts. Up to 75% of people who commit suicide have drugs and alcohol in their systems at the time of death. About one-third of those who have clinical depression also have co-occurring alcohol use disorder. It’s common for depression sufferers to find relief from their symptoms by drinking, but unfortunately, drinking makes depression symptoms worse long term. What makes someone vulnerable to depression and co-occurring alcohol use disorder? There is no single cause for either depression or alcohol abuse and addiction. A combination of specific genetic, physiological, and environmental factors can increase someone’s risk of developing these comorbid conditions. To make matters even murkier for patients and clinicians alike, one condition can trigger the other. Which condition typically comes first is different for both men and women. 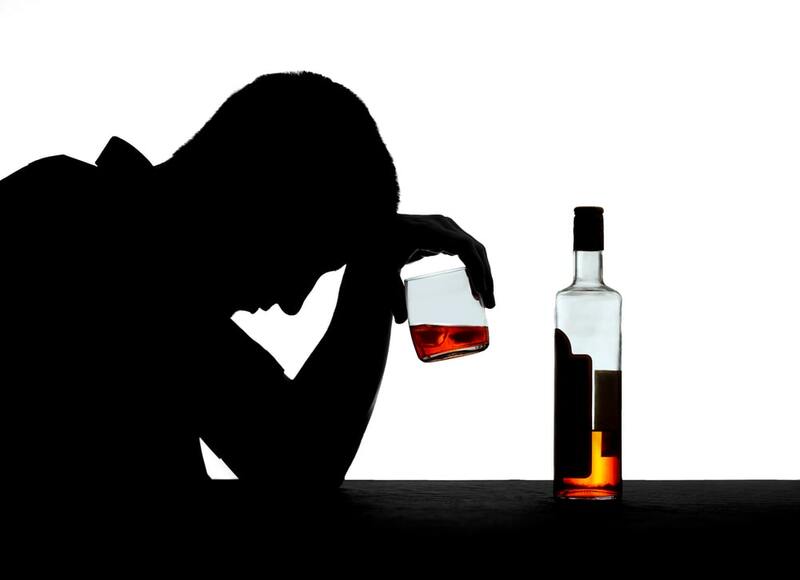 Studies show that men tend to report drinking problems before experiencing depression symptoms. Women, on the other hand, are more likely to be depressed before turning to alcohol to alleviate their symptoms. When should someone get help for depression and alcohol use disorder? Depression and drinking make each problem worse, and it is dangerous to drink while taking antidepressants. For people with comorbid depression and alcohol use disorder, it’s critical that they receive comprehensive, integrated treatment for both diseases. Treating one, but not the other, will increase the chances of relapse for either depression or alcoholism. For depressed patients who need rehabilitation for alcohol use disorder, they can benefit from a combination of therapy, medical detox, antidepressants, and 12-step programs. What should someone do if they are concerned about a loved one’s drinking and depression? First, it’s important to recognize the symptoms of depression and problem drinking. Problem drinking is defined as more than one drink per day for women, and more than two drinks per day for men. Binge drinking for women is four or more drinks in one sitting for women, and five or more drinks in one sitting for men. If a loved one is missing work or school, having trouble fulfilling obligations, and engaging in problematic behavior when drinking, those are all symptoms of alcohol use disorder. Getting support from clinicians, social workers, mental health professionals, and drug rehabilitation counselors. Alcohol and depression are lifelong illnesses that need ongoing care, maintenance, and support from trusted family and friends. But with treatment, people can go on to live a life of sobriety, free from the painful symptoms of depression. If you’re concerned about a loved one’s depression and alcohol use, please do not hesitate to reach out to a drug and alcohol abuse counselor today about treatment options.